'FUGITIVE' BEGINS HERE! SUPERSTAR ARTIST ADAM KUBERT JOINS TA-NEHISI COATES FOR THE NEXT DRAMATIC DEVELOPMENT IN THE LIFE OF MARVEL'S SOLDIER SUPREME! 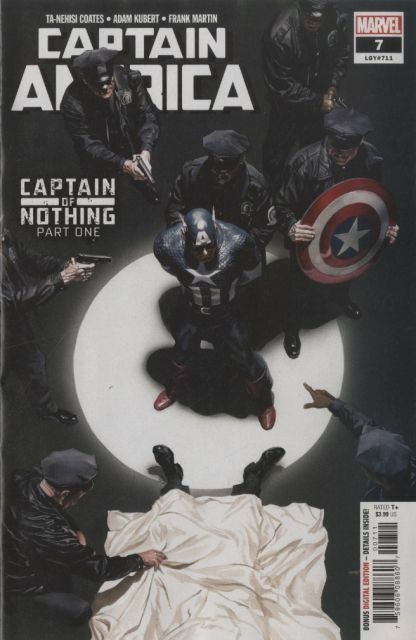 Captain America - wanted for murder! And the victim is a familiar face in the Marvel Universe! How? Why? You'll have to read to find out!